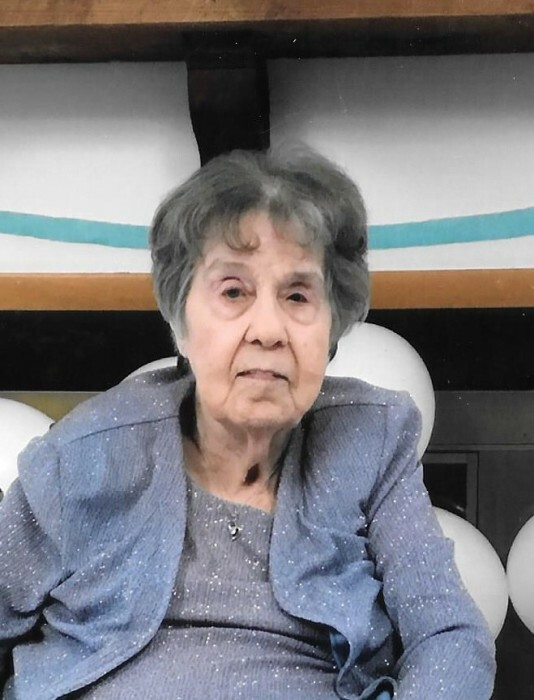 Ernestine Elizabeth Woods age 94 of Cowen passed away April 1, 2019 at Webster Nursing and Rehab. Ernestine was born October 10, 1924 in Baltimore, MD and was the daughter of the late Tommy and Helen Bailey Green. Along with her parents she was preceded in death by her husband James Woods. Ernestine was a waitress at Dyer’s Restaurant in Cowen for many years and attended the activity center in Webster Springs and Candem-On-Gauley until her health declined. Surviving are her sister in laws, Dorothy Woods Riffle and Betty Woods Hammon, brother in law Richard “Woody” Woods and many nieces and nephews. Graveside service will be 4:00 PM Thursday April 4, 2019 at Odd Fellows Cemetery, Cowen; where she will be laid to rest beside her husband. Adams-Reed Funeral Home, Cowen, is honored to be serving the Woods family.